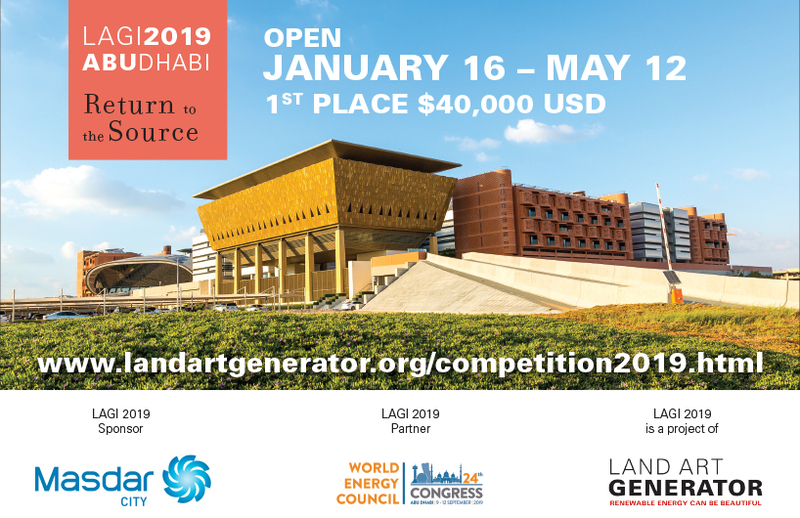 The results of the people’s vote for the 2018 Land Art Generator Initiative design competition for Melbourne are in. 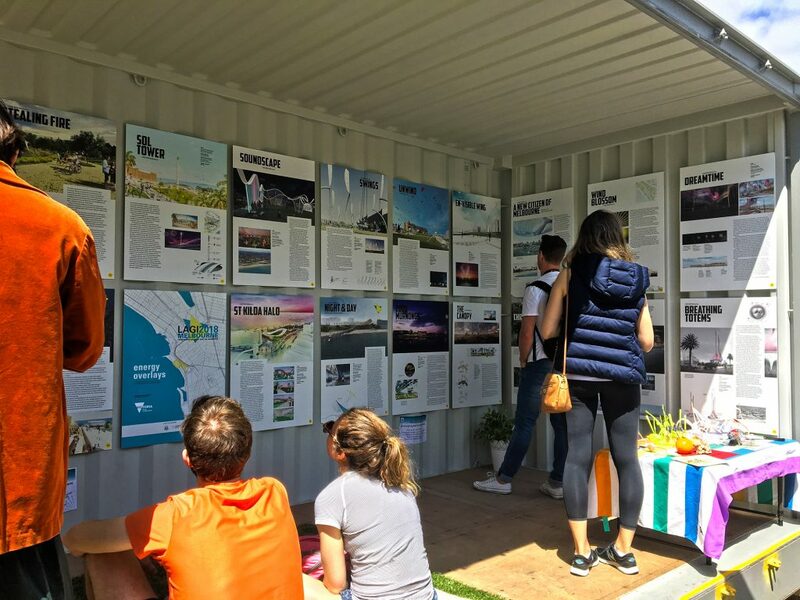 From October 19 to 28, the St Kilda community in the City of Port Phillip had the opportunity to vote for their favorite shortlisted LAGI 2018 design at a pop-up gallery exhibition held at the Acland Street Plaza. 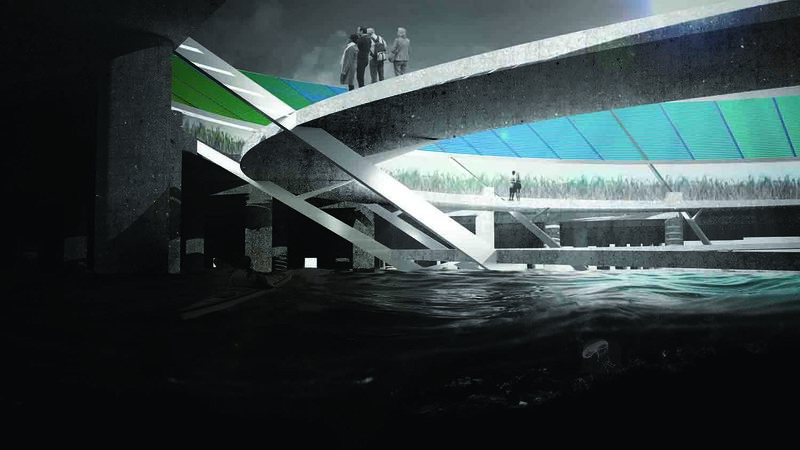 Of the 25 shortlisted designs, three received a particularly enthusiastic thumbs up from the locals. The official LAGI 2018 jury—who together awarded the cash prize for first and second place—was comprised of 14 high-profile professionals, both local and international. 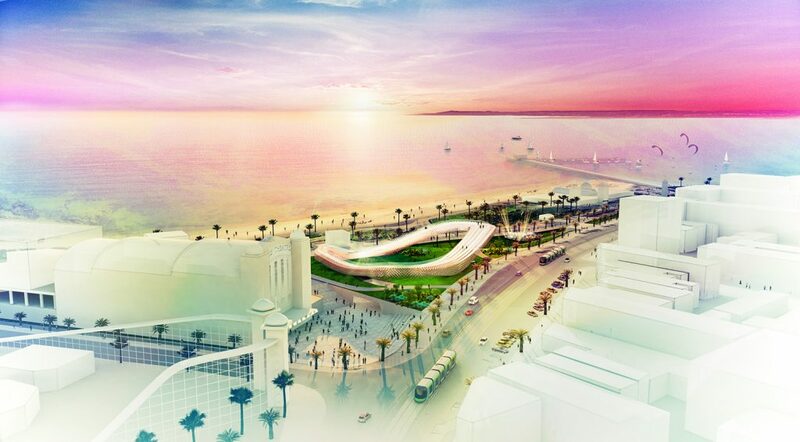 It would be entirely possible that the jury and the local community would have completely different ideas about what energy generating work of art would most resonate for the design site. Not so this year. 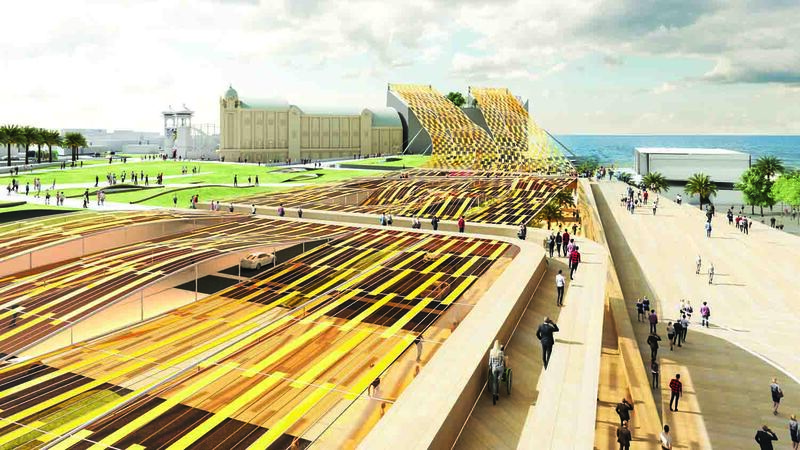 It turns out that NH Architecture’s Light Up, a golden canopy comprised of 8,600 ultra-efficient flexible photovoltaic panels capable of powering up to 900 low-energy homes, not only won the LAGI 2018 design competition—they also won the people’s vote! Martin Heide, lead architect on the project, says they are delighted to have been announced as the People’s Choice award winner. LAGI co-directors Elizabeth Monoian and Robert Ferry echo Heide’s response. 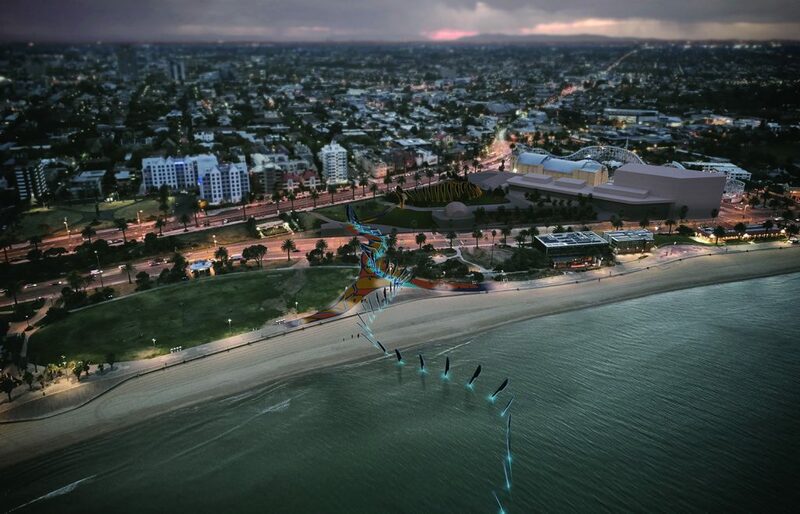 St Kilda Halo by Grimshaw Architects, yet another local architecture firm, took second place in the people’s vote. Also solar-powered, the design takes inspiration from the way a forest captures dappled sunlight through the canopy. It is comprised of layer upon layer of Sphelar—tiny spherical balls 1.2 to 1.8 mm in diameter that have electrodes on opposite sides, allowing them to absorb solar energy from every direction. While NH Architecture and partners incorporated standard photovoltaic technology in their design to increase its chances of construction, Grimshaw used a fairly obscure Japanese technology that has not received a lot of air time and is therefore perhaps trickier for the lay person to visualize. 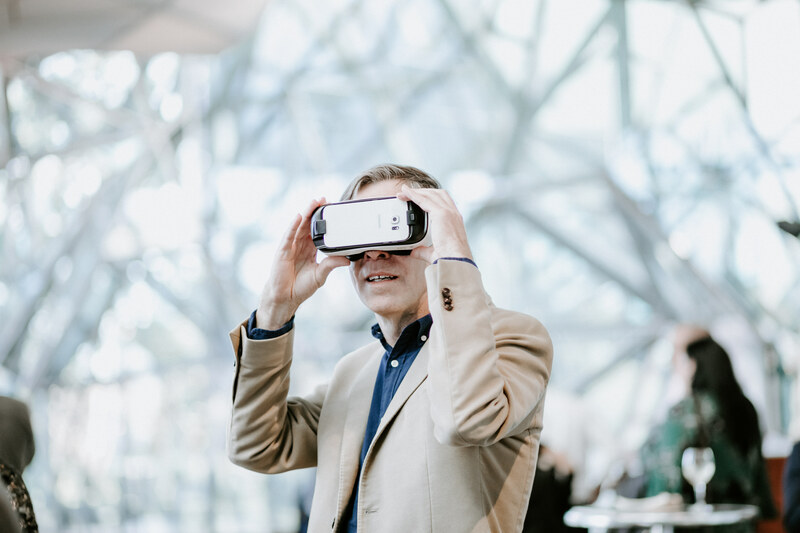 To help visitors understand their vision, the Grimshaw team brought VR headsets down to the plaza. 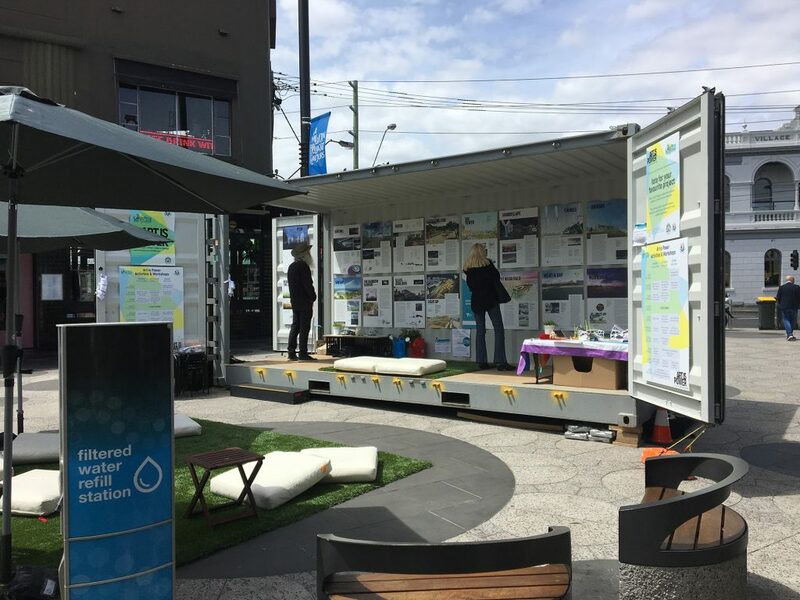 By seeing the virtual design in its intended space, visitors were able to experience how such a dynamic work of art might transform St Kilda Triangle. The people’s third choice was Ngargee, a design that is deeply informed by the indigenous history of St Kilda. The designers, Büro North, consulted with the site’s original custodians to ensure their design would reflect the aspirations and visions of all St Kilda residents. Comprised of 87 solar powered feathers aligned to create the appearance of an enclosure, the design is capable of producing 400 MWh annually. Elizabeth and Robert feel that it is fitting and no surprise that Ngargee would be among the top choices of the public voting process. 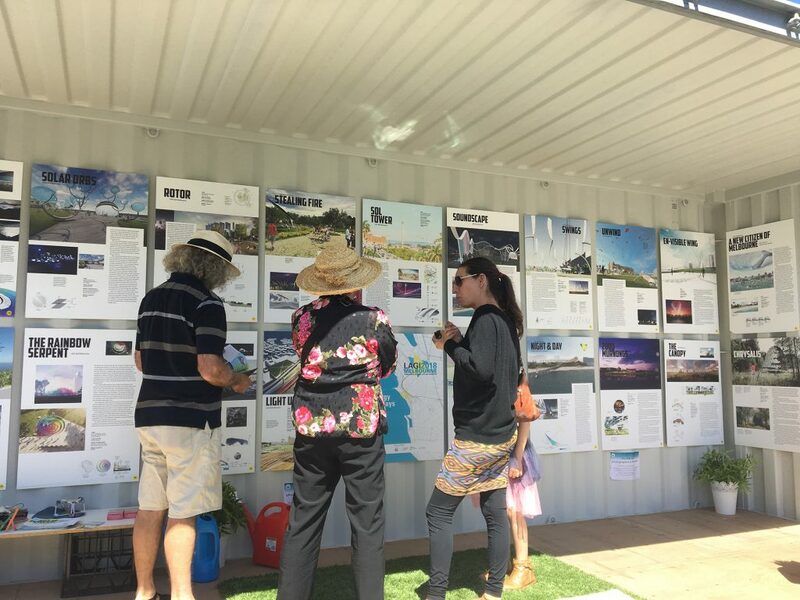 While the City of Port Phillip can’t guarantee that any of the LAGI 2018 designs will be built, everyone involved has been deeply encouraged by the community’s resounding zeal throughout the competition process.